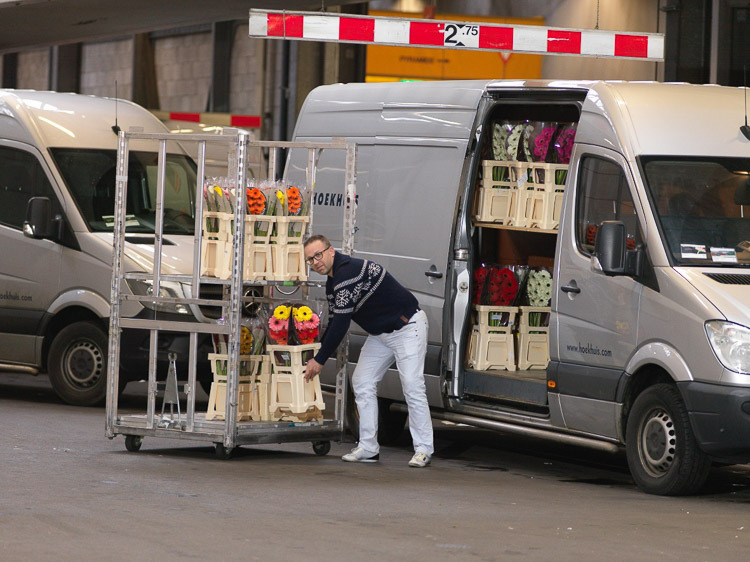 FlowerRacket® is a flower packaging that protects your beautifull gerbera’s. 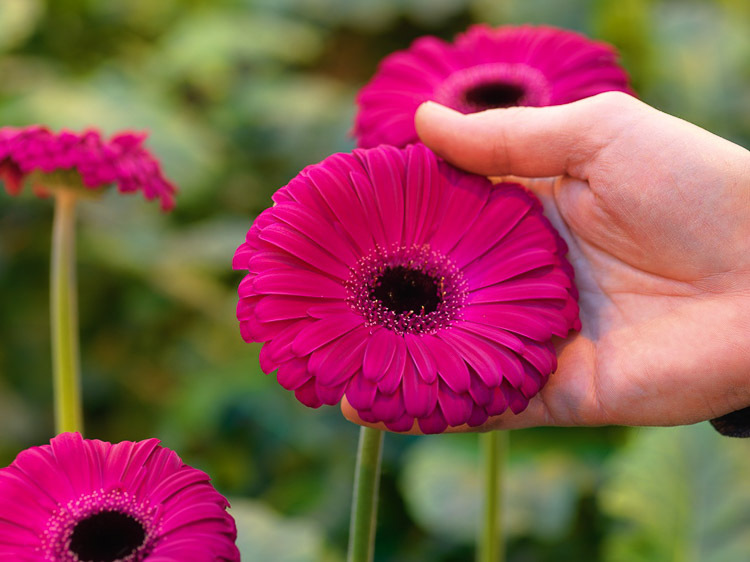 One FlowerRacket® contains 10 gerbera’s or germini. 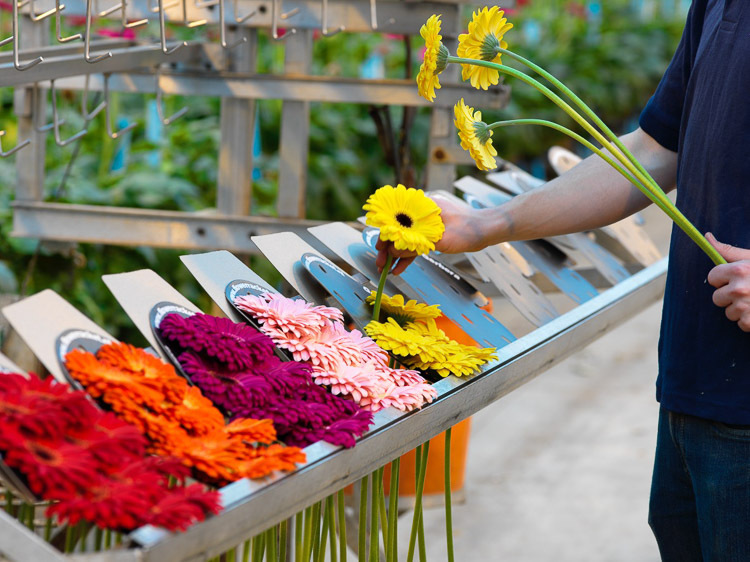 The gerbera and germini are grown with care by our quality growers. Grown, harvested, packed en put on fresh water so that the flowers come really fresh to you. As if they were just picked by the grower. 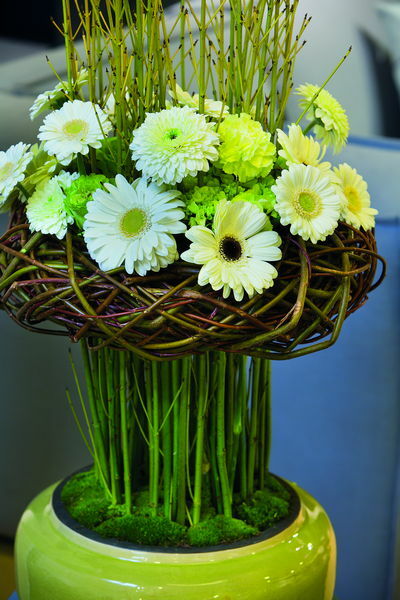 To give them a long lasting life on the vase or in your own floral creation. Cut about five centimetres from the stems. The vase in which your gerbera’s will florish should best be cleaned in advance with a few drops of chlorid and some water. Brush the vase and rinse it with clean water. 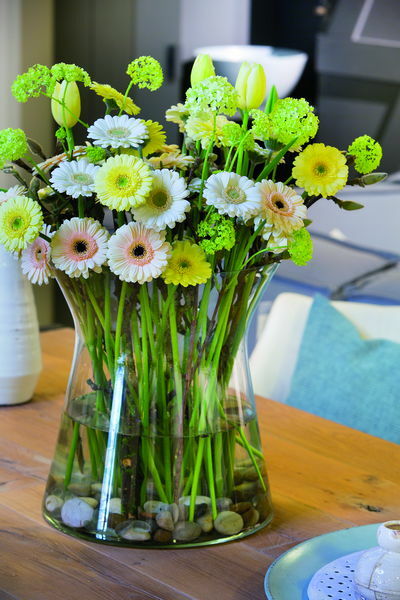 Before putting the cutted gerbera’s in the vase, fill it with 2-3 drops of chlorid and water for about half the vase. 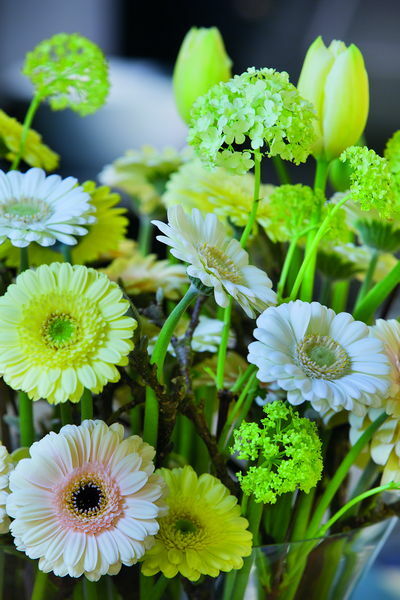 Most flowers, among which also gerbera, are sensitive to bacteria. When the water in your vase starts to look brown or starts smelling this is caused by this bacteria. By using a good cleaned vase and by adding 2-3 (not more!) drops of chlorid you keep the bacteria level low. This guarantees an increased longevity of your flowers and a maximum pleasure! The small sachets with flower nutrition you receive when you have bought a bouquet contain such a disinfectant for bacteria. Next to this also some kind of sugar is added in this sachet which is necessary for flowers to open up completely to full blooming. Gerbera’s are already in full bloom when you buy them, so they don’t need the sugar. Even more, sugar inhances the growth of the bacteria which you just don’t want with your gerbera. 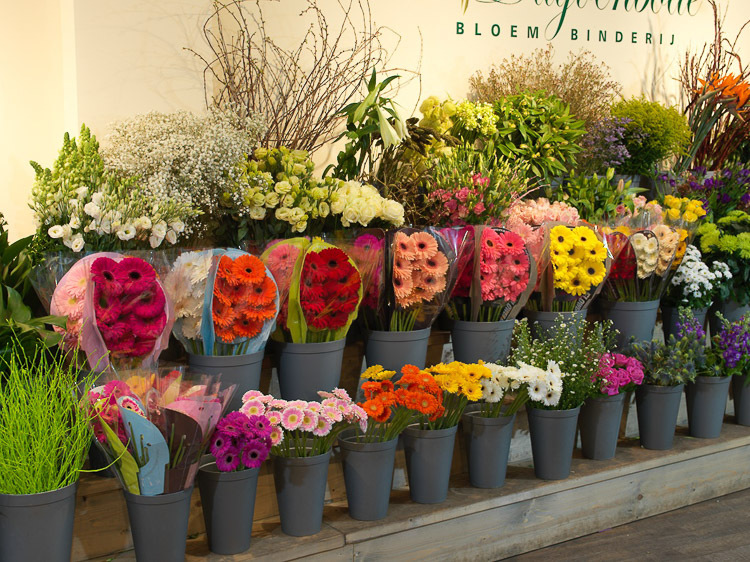 Inspiration, FlowerRacket® gerbera’s are a true decoration for your home! See also the website colouredbygerbera.nl.